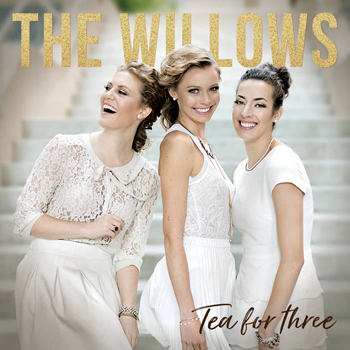 Adventurousness never ever takes a back-seat even in this close harmony trio, The Willows and the ladies often break free, aided and abetted by the fine accompanists on Tea For Three, their second full-length album. Coincidentally, the ladies also come together in a vocal configuration similar to the legendary Andrews Sisters, who practically invented the modern version of swinging three-part close harmony. What sets The Willows apart from other groups of their kind, though, is that their written material – largely the work of Lauren Pedersen together with pianist Chris Graham – which often pushes the envelope by throwing the doors wide open so that manouche jazz and sashays and traipses its way in. “Boy Oh Boy” is just one example – a classic one, no doubt, although there are several other songs on the disc. Much of the music is (written and) sung in minor modes, again, like much manouche music; in the case of The Willows, though, the bittersweet and sometimes melancholia flavor is offset by bright trumpets, spritely piano – especially from the keenly elegant Adrean Farrugia – while the rust and gold colouristic material is left to The Willows and their superb voicing. Again, timbral and textural qualities are gorgeously melded in by piano, accordion, bass, drums and wonderfully blended-in string quartet. Against this backdrop whose tangibly jazz overtones provide the riveting narrative are the absorbing three-part concept with its insinuating atmosphere. Making the most of Miss Pedersen and Mr Graham’s deeply elegant music requires a particular sensitivity to linear shape, lyrical articulation and clarity of texture, not least in order to draw upon the pungency of the harmonic language. It is here that Lauren Pedersen, Andrea Gregorio and Krista Deady find a remarkably atmospheric palette throughout, evident from the spritely opening strains of “Breakfast In Bed” to the colourful grandiloquence of “Valentine”. Alongside this entire vocal spectacle are superlative performances from every contributing musician, all of whom never force the pace or engage in quick-win mannerisms, but allow, instead the lightly cascading of the voices to bathe the music in affecting brilliance.